A Regina-based property management company has found itself in the pest control business. According to Namerind Housing Corporation's property manager Mannie Amyotte, the company made the move out of necessity. "We've gone into bed bug treatment and extermination," Amyotte said. "We have a heat treatment that's different from our competitors—a lot of them use chemical, we use the heat assault system." He said Namerind was hiring outside contractors to do their work. The company figured if they found their own equipment, they might be able to develop a bit of business for their social enterprise while saving themselves some cash. "Any profits that are generated through our property management side and the bed bug extermination goes right back into affordable housing so we can keep our rents low," he said. Namerind has been working on their pest control business for roughly two and a half years according to Amyotte. The corporation started off by treating their own properties but has expanded to working with both private individuals and other companies. Amyotte called the local bed bug situation an epidemic. "We were pretty well untouched for years because we had them in Manitoba and we had them in Alberta and it seemed for years we didn't have any in Saskatchewan," Amyotte said. "In the last three, four, five years, the need and the demand for heat treatment has risen drastically." 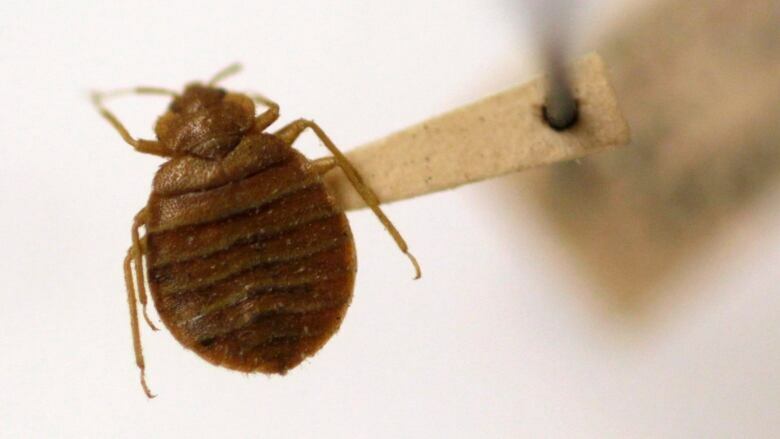 He said there are stigmas around bed bugs, particularly around who are affected by the pests. It doesn't matter how much money someone is making, or how clean they keep their house—everyone can be affected by bed bugs. "It can go to anybody, it can be in Wascana Greens, it could be anywhere in Regina," Amyotte said. "Our hope is to take that stigma out of bed bugs and just let everybody know that it's not something to be stigmatized."